Since its first edition-more than 28 years ago-this book has helped thousands profitably use traditional Time and Motion Study and the predetermined time system, MTM-1. Includes extensive information on I.E. and work measurement software. Focuses on the MTM material that has been refined for more than three decades. Provides accurate answers to all questions regarding MTM-1 found in the MTM Association for Standards and Research MTM-1 Examinations. Covers the minimum work measurement background essential to all who must understand and apply MTM-1. Origins and Background of Work Measurement. Rating an Operator's Performance. Predetermined Time Systems. Detailed MTM-1 Data: Reach; Move; Turn; Crank; Eye Usage; Body, Leg and Foot Motions; Motion Combinations; Motion Patterns - Methods Evidence. 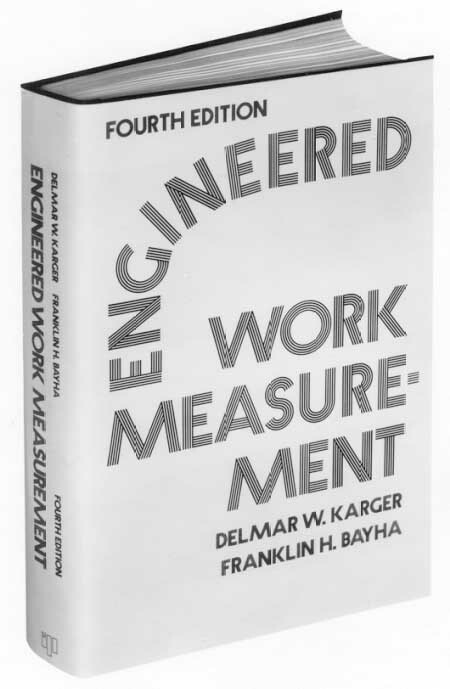 Reducing Labor Costs: Labor Cost Control; Computers and the Work Measurement/Industrial Engineer. Index.